The Mausoleum of Genghis Khan, is a temple dedicated to Genghis Khan, where he is worshipped as ancestor, dynastic founder, and deity. 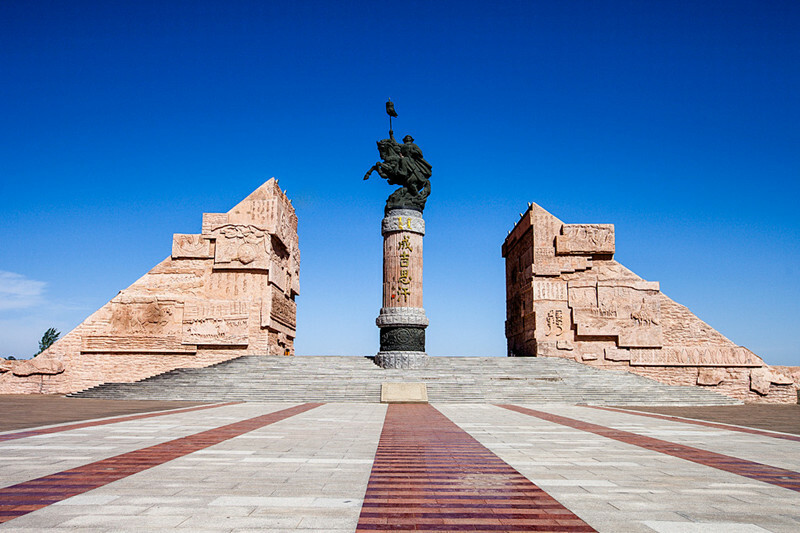 During this 3 days Inner Mongolia, you can learn some Mongolian culture at the Xilamuren Grassland, enjoy the desert entertainment at Whishtling Dune Bay, and then move on to Ordos to visit the Mausoleum of Genghis Khan. 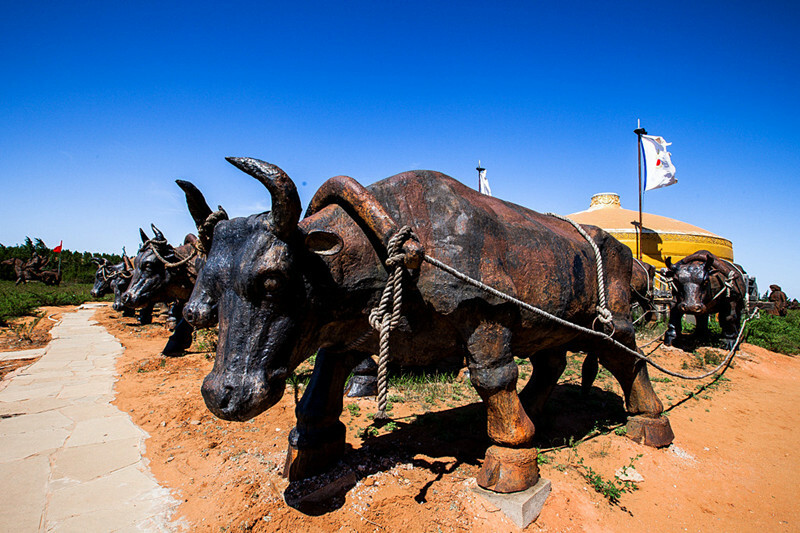 Learn some Mongolian culture at the Xilamuren Grassland. Enjoy the desert entertainment at Whishtling Dune Bay. 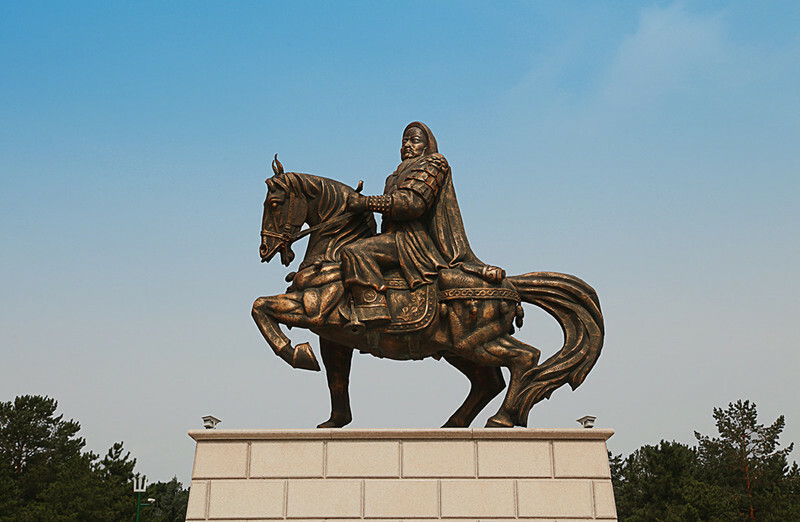 Visit the Mausoleum of Genghis Khan – the largest themed scenic spot about the Gen Gi Khan culture and Mongolia culture. Morning, local guide will meet you at Hohhot hotel and then depart for Xilamuren Grassland. There will be a small welcome ceremony when you arrive. Then have some grassland entertainment(optional, cost self-care). In the evening, enjoy the monglian banquet – Zhama Banquet for dinner. Zhama banquet(individual serving) is the first Palace Banquet of the Imperial Palace in Mongolia. Dine in Mongolia’s aristocratic dress, and there are singing and dancing performances during the dinner to show the folk culture of the Mongolian nationality. You also can join the bonfire party after dinner. Stay overnight at Mongolian yurt. After the grassland breakfast, move on to the Dalate Qi, the Whishtling Dune Bay will be arranged after local lunch. Enjoy the desert entertainment after arrival (optional, cost self-care). Then drive to Ordos and check in local hotel. After breakfast at hotel, go to Kangbashi, the first China 4A city resort, to see the Mongolia Chess Square and the Plaza of the Asian Art Center. 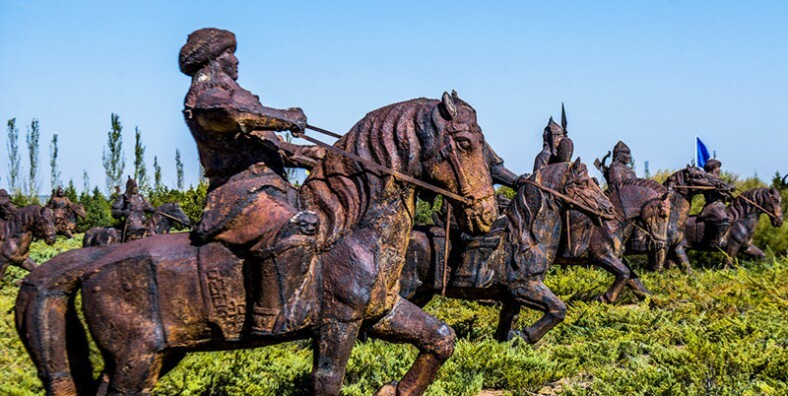 Then move on to the 5A scenic area – Mausoleum of Genghis Khan, the world’s largest themed scenic spot about the Gen Gi Khan culture and Mongolia culture. Visit the magnificent Gate, Mongolia Museum of History and Culture, etc. Return to Hohhot and service ends.